Governor A.B. Chandler announced abandonment of the Kentucky State Prison after returning from the inauguration of President Roosevelt to find water behind the walls of the prison. A total of 2,900 convicts were evacuated to jails and buildings in other towns. Twelve prisoners were reported to have been either killed or drowned. 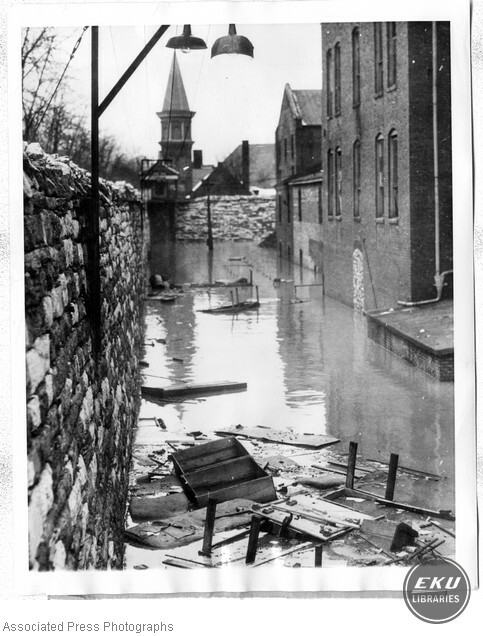 unknown, “Water Behind Kentucky Prison Walls,” Digital Collections, accessed April 25, 2019, https://digitalcollections.eku.edu/items/show/3508.